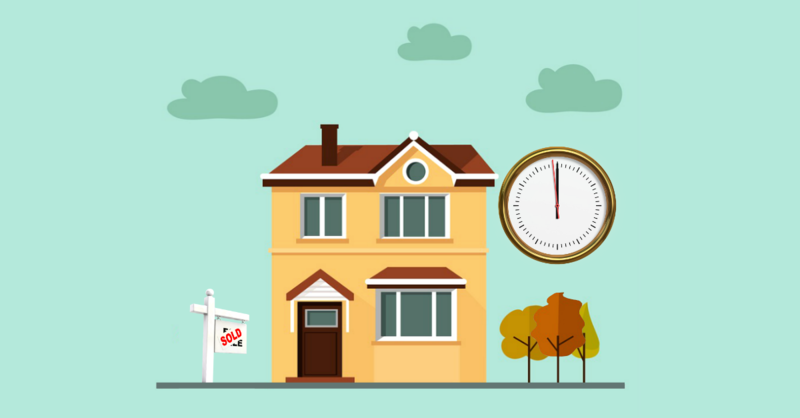 Best Time to Buy a House in Wisconsin? NOW! Best Time to Buy a House in Wisconsin? NOW is the Time to Take Advantage of the High Inventory in the Milwaukee Real Estate Market with Bob Arnold! Inventory is up, interest rates are down. It’s the 10th month of the year and if you aren’t currently trying to find real estate near Milwaukee WI, you’re missing out! The best time to buy a house in Wisconsin is NOW. Not September. Not January of next year. The Spring market is the most active time of the year for realtors in Milwaukee WI. By this, I mean buyers are EVERYWHERE. Inventory is low and everyone wants to have the best deal on Second street, so the competition gets cutthroat. This is a national chart – November & December in Wisconsin real estate has higher inventory than the rest of the country! With the upcoming Spring of 2018 fast approaching (Only 4 months away! ), another exceptionally busy Spring Milwaukee real estate market is expected, lugging with it increased prices and low inventory – again. Tagging along? High buyer competition. Don’t get trampled by the house hunting herd! The Spring of 2017 was very frustrating for buyers who ran blindly into one of the busiest real estate markets Milwaukee has had in over 15 years. Bidding wars were common and it shoved home buyers into corners, especially those who were renting. This caused many buyers to abandon their dream home or condo. April of 2017 | With the busy market, a bidding war would have taken place. Offers shoot the price up $20,000 to $270,000 with very little room for any negotiations on price and terms. October of 2017 | Facing less buyers and a better 4% interest rate in the Autumn market, a buyer would instead negotiate the price and terms to benefit themselves instead of dealing with bidding wars. This drops the home mortgage payment by $150.00 per month. Buy real estate at the end of the year – its when the buyers are in control! Still Renting & Looking to Purchase a Home or Condo? Call Bob Arnold! I have more than 25+ years of experience in the Milwaukee real estate market and can show you how to get credits to cover 3 to 4 months of rent – it makes the transition from apartment living to property ownership so much easier! The market is a perfect for buyers right now with lower interest rates than the spring by almost a half percent and double inventory level with very few competitive offers. If you found the right home today and put an offer on it, you would be saving on the increase in prices of 2018 and projected increase of interest rates that are currently lower than they were in Spring of 2017. Spring buyers who had been renting got frustrated, decided to continue renting, not purchase or move and wait for another year. These are not active buyers anymore and are missing the boat with the current metro Milwaukee real estate market. You may have been one of those buyers yourself, but the question is: is someone else going to take advantage of the Autumn real estate market, or are you? Now is the best time to buy a house in Wisconsin – Contact Realtor Bob Arnold today to start your home search!